Looking to learn more about our fine feathered friends in the sky? Birdwatching continues to grow in popularity among folks of all ages. The hobby—otherwise known as birding—is an excellent way to enjoy nature and become acquainted with all things winged (well, not including the Pegasus or the Hippogriff). To help you launch your birding adventure, we’ve created a step-by-step beginner’s guide to birdwatching. We’ll help you find the right tools and equipment, plot out perfect locations, and identify those wondrous creatures. Let’s get started. Birdwatchers observe all types of birds in their natural habitats. Virtually anyone with the sense of sight and/or hearing can take part in this popular hobby. Some enthusiasts simply enjoy spotting and identifying birds, while others delve deep into bird study. 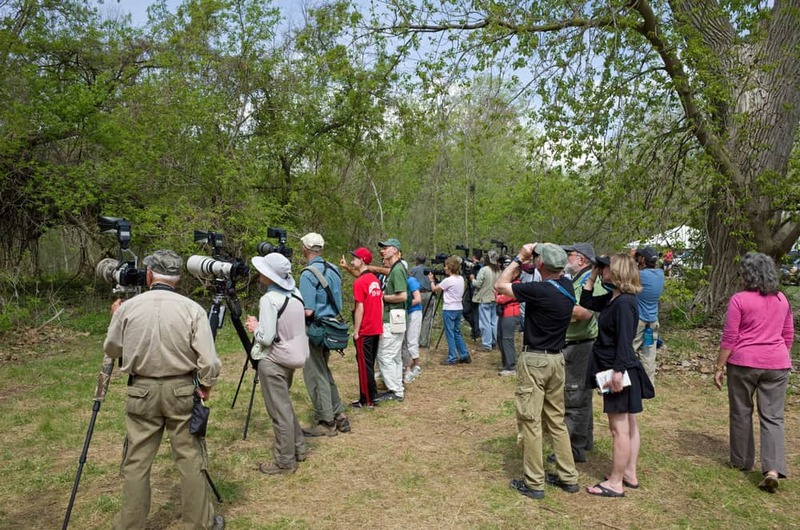 Many birdwatchers document their adventures and confer with other bird buffs. You might not realize that bird “watchers” often rely on sound even more than sight. Many birds have distinctive songs, making them easier to identify with a keen ear than with a watchful eye. Birdwatching as as we know it began in the 20th century. Earlier forms of birdwatching could be more aptly termed “bird killing.” 19th-century avian enthusiasts generally shot interesting-looking birds down, and then learned more about them by examining their corpses. Pretty grim! Luckily, technology such as binoculars–invented by J.P. Lemiere in 1825–eventually caught on, and enabled people to learn about birds without shooting them. From the 1880s onward, birding enjoyed a dramatic rise in popularity. 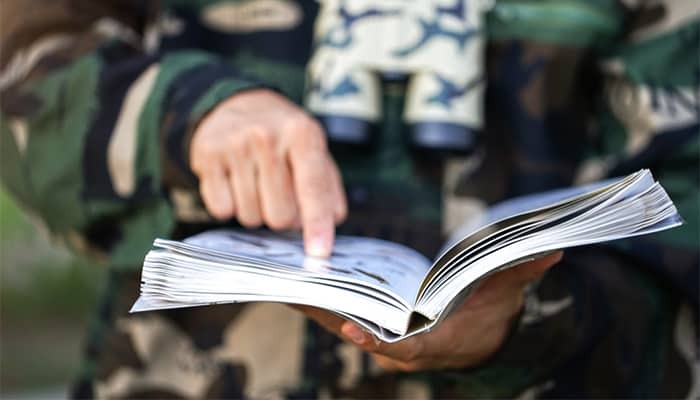 Along the way, avid birders have enjoyed readings classic texts such as Gilbert White’s 1788 book Natural History of Selborne and John James Audobon‘s Birds of America, published during the 1820s and 30s. You might already be familiar with the iconic bird illustrations found in Audobon’s work. In any event, it’s clear that birdwatching has developed from a natural human curiosity in the world around us and our fellow creatures. Despite its somewhat macabre origins, birding today is a remarkably peaceful hobby. And more often than not, today’s birdwatchers care deeply about preserving birds’ natural habitats so that they can continue to thrive in the years to come. In addition to pure fascination, people take up the hobby for a variety of reasons. Bird enthusiast and author Jack Connor published a lightly humorous essay back in 1984 highlighting the unique appeal of birding. Why else should you try out birding? 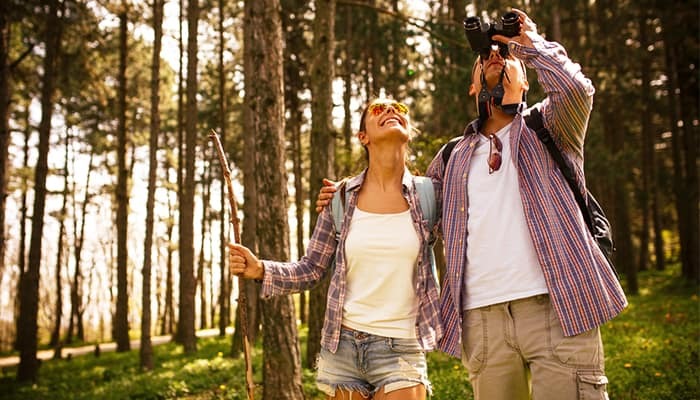 It gives you a reason to explore the world and learn more about your natural environment. In many ways, birding is a logical extension of hobbies like hiking or kayaking, which can also take you into the wild. Once you’re outside, it’s fun to learn more about the creatures you may encounter. You’ll have a chance to meet like-minded people who may become lifelong friends. Active birdwatching groups and communities organize events and provide an excellent excuse to get outdoors with other people. It’s a form of mindfulness, encouraging you to live in and appreciate the moment. How often do we walk around mindlessly running errands without really noticing our surroundings? Birdwatching is the antidote to mindlessness. It forces you to pay attention to every sound, every rustle of leaves, to spot elusive birds on their perches, to feel grateful for what you are seeing. Plus, unlike many hobbies that have a shelf life of sorts, birdwatching is a pastime that can continue well into old age. It’s an activity that grandparents can share with their grandchildren, making it excellent inter-generational entertainment. Additionally, you can download birdwatching apps on your smart phone. These apps often include bird sounds that are incredibly helpful to birding newcomers. Plus, a good app can replace bulky birdwatching books if you prefer to pack light. Next, get in touch with fellow birders. Visit Birdingonthe.Net to connect with local birdwatchers and to stay informed about local bird clubs and outings. 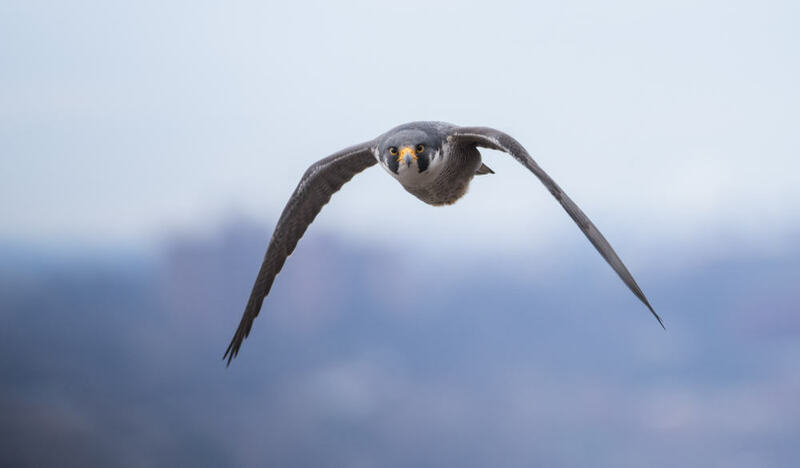 Even if you plan to birdwatch solo, seasoned bird enthusiasts can provide a wealth of knowledge and tips gleaned from first-hand experience. So let’s get more in-depth with each of these steps! Now that you have a basic idea of this hobby, it’s time to build your birding toolbox. The Sibley Field Guide to Birds of Eastern North America by David Sibley: This compact, comprehensive guide includes listings for 650 bird species with a multitude of illustrations, and has been recently revised. Kaufman Field Guide to the Birds of North America by Kenn Kaufman: This easy-to-navigate guide includes helpful illustrations and plenty of field maps. The book is well-written, and birds are easy to find within its pages. National Geographic Field Guide to the Birds of North America, 7th Edition by Jon L. Dunn: Recently revised and ideal for both beginners and advanced birdwatchers, this guide is one of the most up-to-date resources on the market. Included are a variety of maps and illustrations. Merlin Bird ID by Cornell Labs: This app is user-friendly and quick with its identifications. Simply answer a few questions and/or snap a photo of the bird in question, and the app will do its best to identify the creature. The best part? All of the information you record while birding is compiled for research at Cornell University. Audubon Bird Guide: With no less than 808 species, this app is bound to help you identify virtually any bird you spot. List and log sightings, listen to birdcalls, and share your observations with others via the app. From backyard birders to serious bird enthusiasts, this easy-to-use app is ideal for any skill level. Determine your birding goals: If you’re planning to delve deep into birdwatching, you might opt for high-end binoculars. If you plan to tiptoe into the hobby, however, there are plenty of budget-friendly options to get you started. 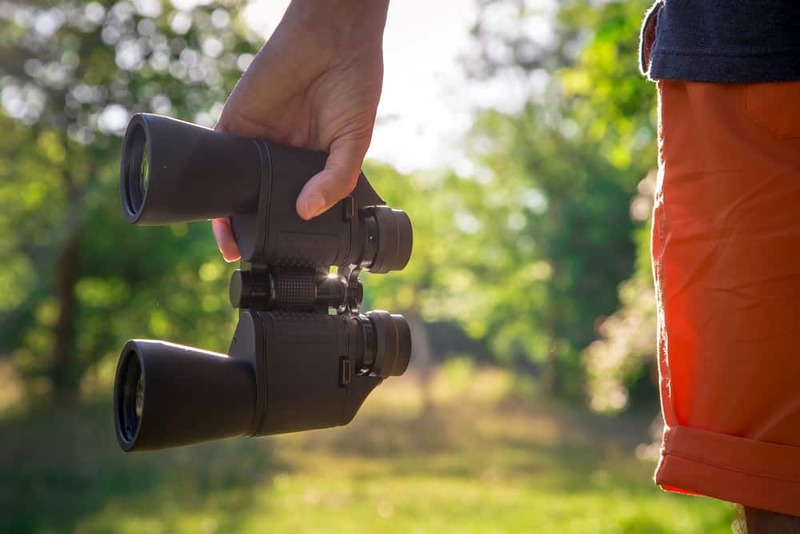 Try them yourself: While an avid birdwatching friend may swear by a pair of fancy new binoculars, keep in mind that your preferences might differ. Testing the waters is best when it comes to binocular buying. Consider weight and portability: Ergonomic binocular options are out there. We suggest picking up a lightweight pair. Most modern versions are compact and much lighter than older styles. Consider magnification: When binocular shopping, opt for 7-10x magnification. Some birders prefer the lower end of the magnifying spectrum, whilst others prefer greater magnification. Just another reason it’s important to try before you buy. Many avid birdwatchers will tell you that bird-spotting scopes are an essential item. Or if you want something smaller, check out my guide to the best monoculars for birdwatching. Most scopes are available in straight or angled models. As with binoculars, a scope isn’t one-size-fits-all, so be sure to test them out before purchasing. View and brightness: Opt for a scope with bright, sharp views. Portability: Look for a scope that is lightweight and easy to carry for long periods of time. Water resistance: If you plan to birdwatch near water, choose a waterproof version. Zoom: We recommend purchasing a scope with at least 20-60x zoom. Who says you have to leave the house to spot beautiful birds? Backyard birding is a popular hobby that virtually anyone can do! Birds need three things: Water, food, and shelter. Make these essentials readily available, and you’re bound to attract new feathered friends. Place in a sheltered area: It may take time for local birds to become acclimated to new feeders, so be patient. Place multiple feeders around the yard, but not in wide, open spaces. Opt instead for spots near the house, or in areas where birds will feel sheltered and safe. Get the basics down: For small spaces, we recommend offering basic bird feed options. Black-oil sunflower is popular among backyard birders and will attract a variety of birds. Finches, cardinals, and sparrows are big fans. 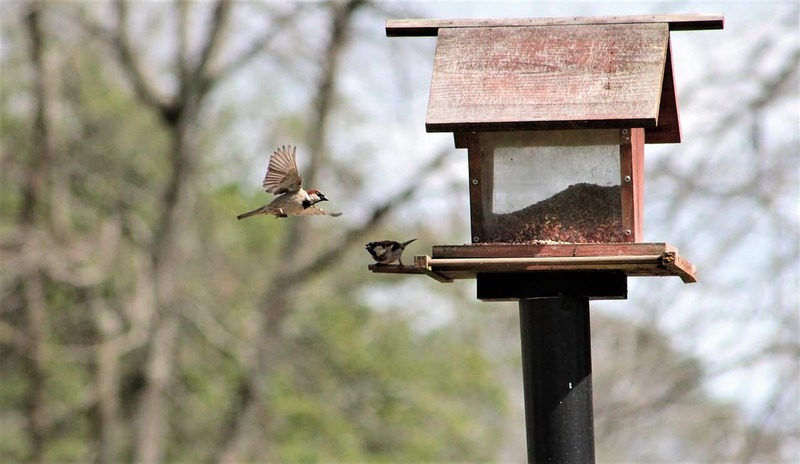 Mix it up: If possible, offer a variety of feeds and feeders to attract a wider array of birds. Consider adding a thistle tube feeder for flocking goldfinches, and a hummingbird feeder complete with nectar, along with a seed mix for various bird species. Birds who are impressed with your bird feed selection will most definitely come back. Make space (if possible): To ensure bird visitors get their fill, set up multiple feeders of the same type around your yard. This will give picky birds plenty of options and space. Stock up for cold months: Birds need extra TLC (and calories) in colder weather when food may be difficult to find. Offer plenty of food in the winter, and never stop offering feed once you’ve started. The Cornell Lab offers a fantastic comprehensive guide to food and feeder types, along with tips on cleaning your feeders and how to discourage animals such as squirrels from stealing food. The lab even provides a printable booklet on how to create a garden for local birds. You can download and print it here. Whether you want to stay local or take your birdwatching adventure on the road, there are some excellent resources available to find tried-and-true birding spots. In particular, BirdWatching allows you to to search for bird “hotspots” in your area. Simply enter in your location and add keywords if you have a specific goal in mind. You’ll receive a list of nearby areas to consider. Let’s say you live in North Carolina: You’re in luck! 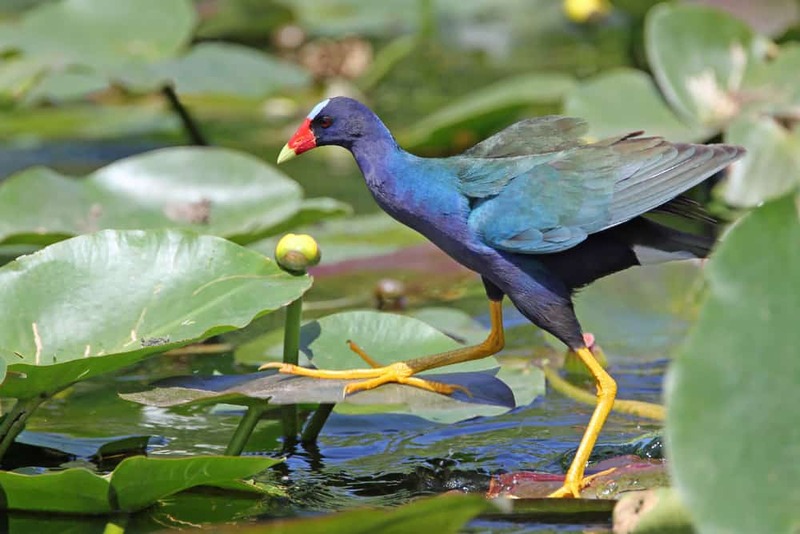 There are 6 known birding hotspots scattered all around your state, including Yates Mill County Park, a good place to find songbirds, and Mattamuskeet National Wildlife Refuge, home to waterfowl. Planning a trip? Most likely there are birding hotspots nearby. Best of all, this service is completely free. To make things even easier, we’ve compiled a list of tips and tricks to find ideal birding spots both locally and nationally. Always be on the lookout: Many seasoned birdwatchers will tell you that birds are everywhere. Keep an eye out, even in areas you frequent. 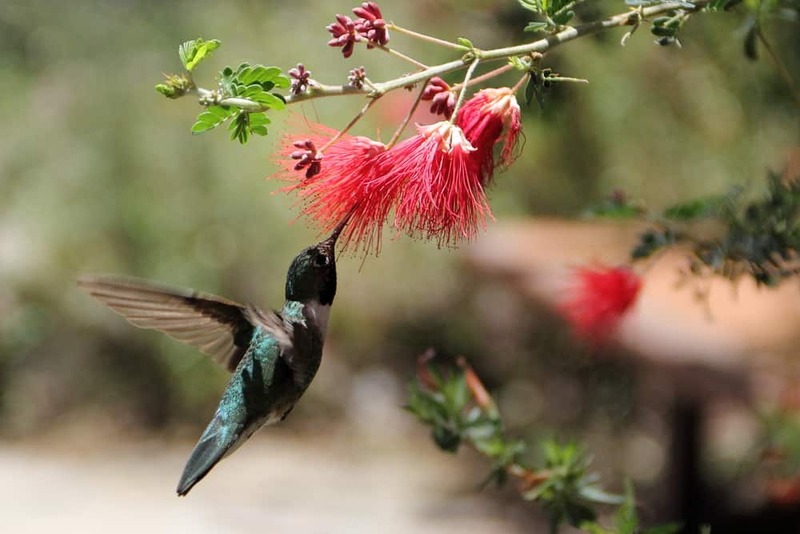 Buy or build a bird feeder, bird bath, and birdhouse: Birds are resourceful creatures, and they’re bound to flock to you if you have a bird-friendly backyard. Head to the woodlands: Where there are trees, there are probably birds. Keep an eye out for moving branches: Don’t shift your gaze too often. Birding takes patience and persistence. Get out before dawn: Timing is everything when it comes to birdwatching. If you don’t see much action in the afternoon or evening, try scoping in the morning when birds tend to be active. Always carry binoculars: You might just spot birds at surprising times, like when you’re running errands or out on a midday walk. Check to see if there is a “birding trail” in your area: These spots have been handpicked by bird experts and promise plenty of bird spottings. Audubon offers a simple guide to birding trails, available online. Keep up with birding news in your area: Visit the American Birding Association to find mailing lists for the latest news and announcements about birdwatching. Visit a local national park or national wildlife refuge: The U.S. Fish and Wildlife Service’s website offers an interactive map to help you find a wildlife refuge near you. Collaborate: Once you’ve located other local bird enthusiasts, ask them for tips on spotting birds locally. Help other birders: Birdwatchers can help other locals by visiting eBird and recording the birds they’ve spotted. Birdwatching is always an excellent excuse (not that you need one) to get outside. And it’s also a great reason to travel far and wide in search of new kinds of birds. Be sure to research the best birdwatching places before booking a trip. Based on BirdWatching, this region has numerous birding hotspots. There is even a Southeast Arizona Birding Festival! For optimal birdwatching conditions, it’s best to visit from April to September. 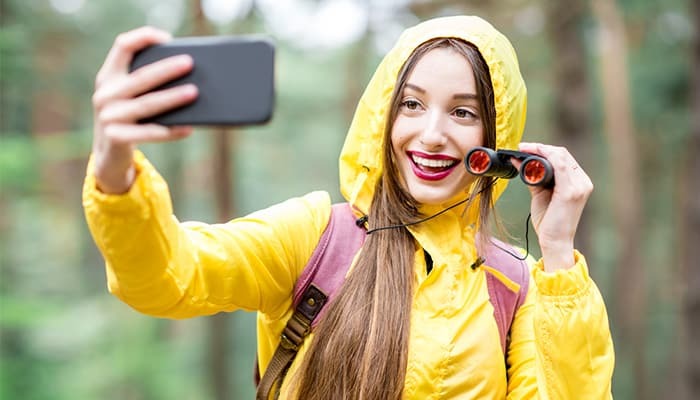 If you live in the area or visit frequently, it’s worth getting the Birding Southeast Arizona app, which will guide you to prime birding spots, provide information on common species, and let you keep track of your sightings. Spring and fall migration are exciting times in this U.S. region. 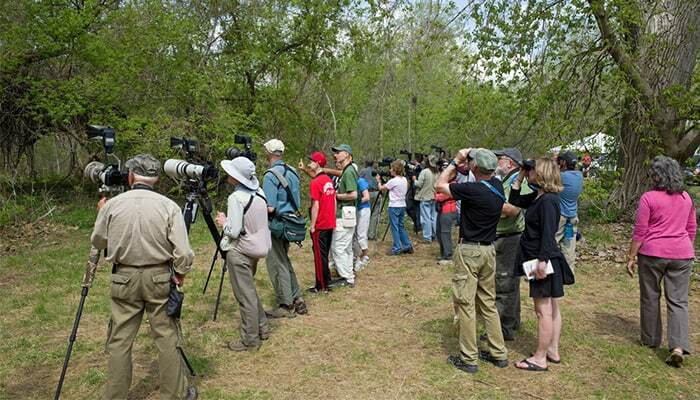 New Jersey birders enjoy hawk and falcon watching and spotting spring songbirds. Fall migration takes place in September and October, while spring migrators take flight in May and early June. Swing by the Cape May Birding Observatory to learn more. 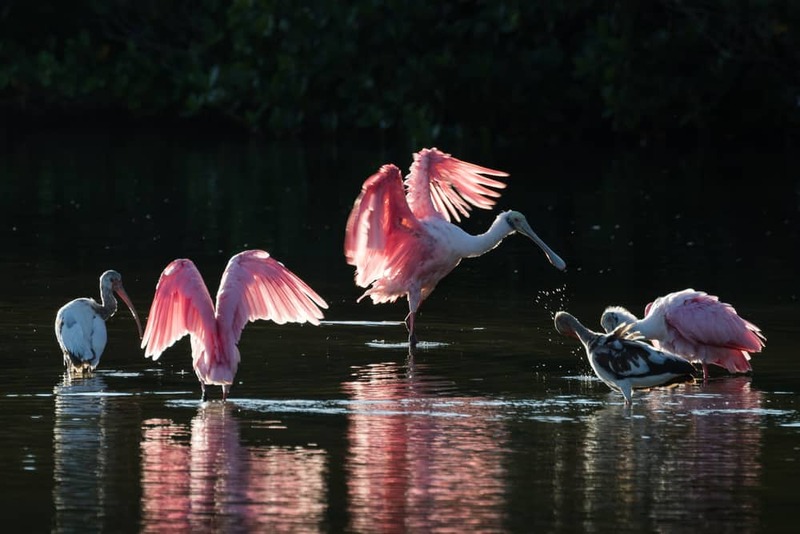 This hotspot on Sanibel Island is the perfect location to view wading birds. The picturesque area is home to approximately 245 bird species, and the 4-mile Wildlife Drive allows visitors to birdwatch without leaving their vehicles. Popular birds here include the Mangrove Cuckoo and Wood Stork. Visit this area between December and April to spot a variety of birds: Waterfowl, wading birds, raptors, ospreys, and more. This famous birdwatching location is home to the White-Crowned Pigeon and Smooth-Billed Anis, among many others. In fact, approximately 400 bird species have been spotted in the area. Located on the southern tip of Florida, this park is at its best from December to April. 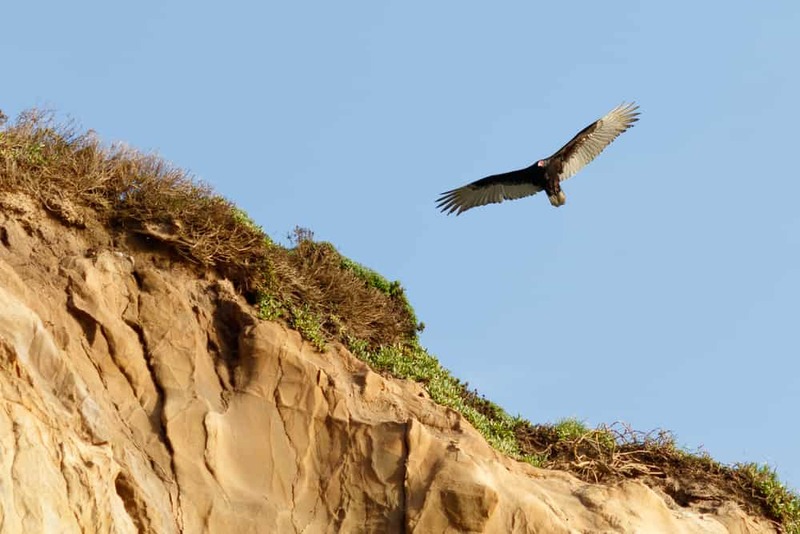 Stunningly beautiful and home to around 490 bird species, Point Reyes is best known for its vast array of nesting species and busy migration seasons. Just minutes from San Francisco, this birding paradise is wonderful to visit throughout the year. Now that you have your birdwatching toolbox at hand, and you know exactly where to go, it’s time to take flight! Pick up a notebook or birdwatching diary. We’re particularly fond of David Sibley’s The Sibley Birder’s Life List and Field Diary. The interactive book features space to jot down where and when birds are spotted. Plus, there’s dedicated space to reminisce. If you prefer technology over pen and paper, there are plenty of birdwatching apps that allow you to note your spottings and share your notes with others. Those who record their findings on the Merlin Bird ID by Cornell Labs app are helping researchers expand our knowledge of birds. 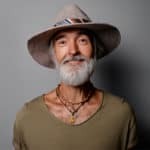 If you have any interest in photography, pick up a nice camera, and consider taking a course or watching tutorials with tips on how to take beautiful outdoor photos. Compile your photos in an album with the date and location each was taken. This is a great activity to share with children and other birdwatching hobbyists. Vacation planning is especially fun for bird lovers who will be visiting a place that is known for its bird population. Do your research and plot out the hotspots you’d like to visit in advance. The Great Salt Lake Bird Festival: Utah celebrates the spring bird migration every year in May. The tradition has been going for 20 years and counting. The North Maine Birders: This group hosts birdwatching trips to the Reed Preserve, the largest old-growth forest in New England. Batumi Bird Festival: Batumi, Georgia (the country, not the state!) is one of the top places to witness mass raptor migration. Participants in the Batumi Bird Festival watch thousands of Steppe Buzzards and Eagles take flight. Consider picking up a sketchbook and drawing the birds you spot. Many birders have an artistic side, so spread your wings and find out if birding brings out your creative side. Better yet, grab your watercolors and see if you have what it takes to improve upon Audubon’s Birds of America! Once you have been out in the field and have a better understanding of the birds in your area, contact local schools or senior centers and offer to teach students or members about birding in your area. You could even take new enthusiasts on a guided tour. Fat Birder – A fantastic online resource for connecting with other birders, and learning everything there is to know about Bird Watching. Ornithology.com – Authoritative information about wild birds from a Professional Ornithologist. Hey, I’m Jonny! Thanks for checking out my guide 😀 I’ve been an avid bird watcher for well over twenty years, and it’s taken me to some truly wonderful places. As a hobby, I can’t recommend it highly enough, so get out there and enjoy nature at its finest.